Technology is one of the economy’s fastest-growing sectors, and people who work in tech command some of the highest salaries around. Considering this, it’s no wonder that it has become in fashion for cities to claim status as a “tech corridor,” or “tech hub,” or the Silicon Valley of their region, primed to become the newest destination for technology entrepreneurs. Newark is also making that claim, but we have something many other so-called tech hubs don’t have: actual infrastructure to back it up. Today, Mayor Ras Baraka announced the launch of Newark Fiber, a public-private partnership that will offer businesses the highest fiberoptic internet connection in the region. C&K Properties’ 2 Gateway Center, where Newark Fiber was announced, will be the first commercial building in town to participate in the program. While it’s true that information access can help increase equity, the partnership’s real potential is in being able to drive cold, hard commerce to the city by attracting high-tech businesses. The new high-speed internet will become a cornerstone of 2 Gateway’s — and Newark’s — selling proposition to tech-centric companies. “We’ve long seen that companies seek out office space based largely on the quality of a building’s infrastructure and connectivity,” said C&K Properties’ managing partner Kevin Collins, according to a press release about the new program. 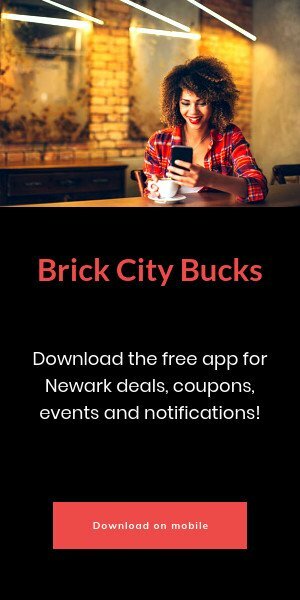 Newark Fiber will offer 1,000Mb to 10,000Mb connections at a cost of $100 to $500 a month. 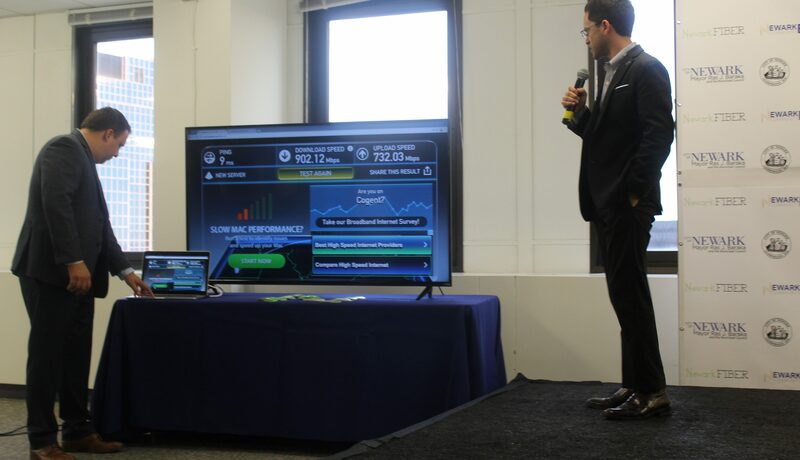 This delivers potential to significantly decrease costs for tech-based businesses in particular: equivalent connection speeds elsewhere cost about $3,000 per month, including across the river in Manhattan. “There was a time people were rushing West to look for gold,” said Mayor Baraka, referencing Silicon Valley’s draw as a (real) tech hub where million- and billion-dollar businesses are made. Newark Fiber, he said, can make Newark the new place tech companies flock to, especially given the confluence of this newly commercially available tech infrastructure with the city’s location at the crossroads of the Northeast, port city status, and distinction as a hub for road, rail and air transportation. Seth Wainer, the city’s Chief Technology Officer, said that in addition to its cost benefits, businesses will derive two additional benefits from Newark Fiber: they can take advantage of the program on a month-to-month basis, and they can go live immediately, as opposed to enduring what Wainer said is typically a 9- to 12-month waiting period for high-speed connectivity in other locations. High-speed internet is a high priority for consumers and especially for certain technology ventures, and it’s not an easy capability to come by. Just last week, the CEO of Google Access stepped down amid an announcement that Google Fiber, a broadband network that was to bring high-speed internet to 24 U.S. locations, would suspend its rollout due to time and cost issues. And they were trying to bring cities connection speeds of up to 1,000 megabits per second–that’s the floor for Newark Fiber, not the ceiling. According to Newark Fiber’s website, commercial buildings and apartment complexes can apply to get access to the program for their tenets. Buildings pay a one-time connection fee to get started, and connected businesses will pay between $100 and $500 for the service, depending on the connectivity speed they select.